The WordPress.com stats helper monkeys prepared a 2014 annual report for this blog. I want to thank everyone for making this an excellent year of blogging and for all your support. A horror/murder mystery from the imaginative mind of Dario Argento, Phenomena may not be his finest work. 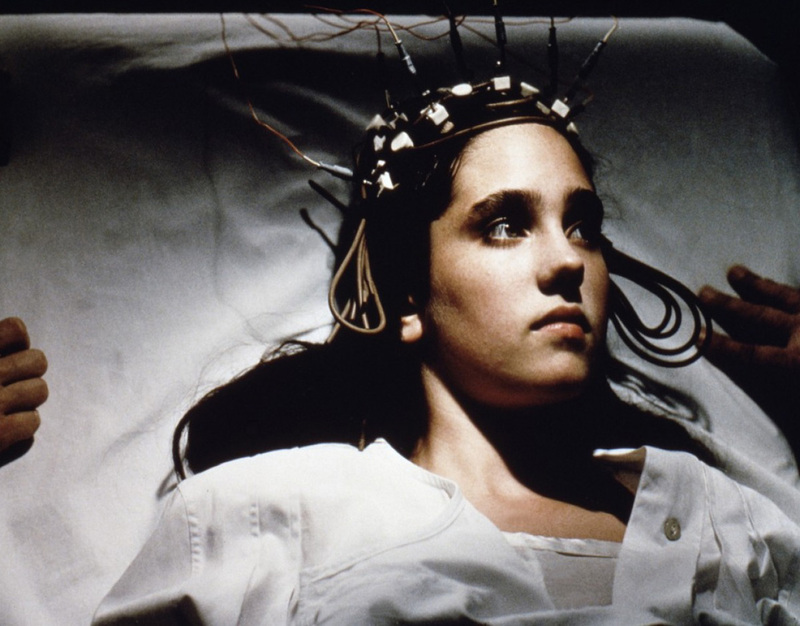 But boasting a strong and haunting visual style, a young Jennifer Connelly and a pulsing soundtrack, Phenomena is bound to linger in the mind for a long time. I can safely say that this film has me curious to watch many more of Argento’s movies( I think the only other one I’ve seen is Suspiria and another one which I can’t recall off the top of my head) in the future and add them to my ever-growing movie experience. Jennifer Corvino is the teenage daughter of a well-known actor who is sent to a Swiss Boarding School for girls. The creepy surroundings aren’t helped by the fact that a serial killer is on the loose and many of the students have fallen victim to gruesome murders. Jennifer as it turns out possesses a strange gift; the ability to communicate with insects. This gift makes her feel isolated from those around her and makes her question whether she is normal or not. She also has a habit of sleepwalking and whilst doing this witnesses one of the murders. She also comes into contact with Professor John McGregor, a wheelchair bound authority in entomology who sees the unique gift that Jennifer has. Seeing that she could help solve the case with her powers, Jennifer sets out to find the killer before another student brutally dies. But finding the killer may just be murder in this striking mystery from the talented Argento. As with the majority of Argento’s work, the visual design in Phenomena is absolutely stunning. Capturing the natural beauty of the Swiss countryside, yet cutting it with the copious flowing of blood proves to be an interesting juxtaposition of savagery and beauty. 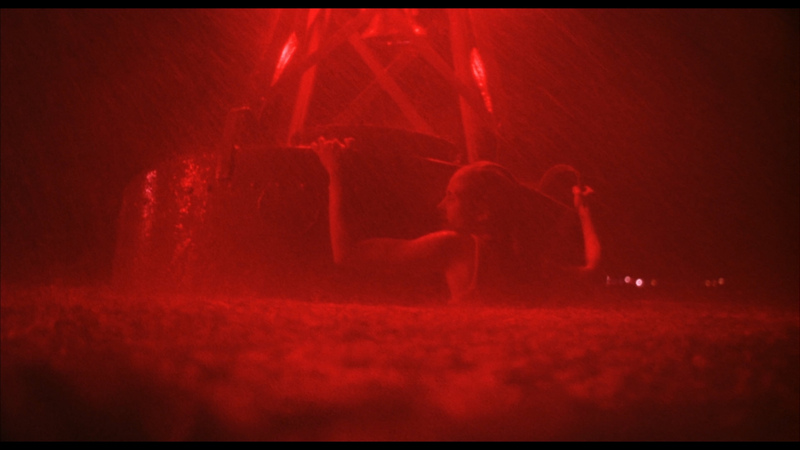 We also get some elaborate murder scenes which give Phenomena a disturbing quality, especially when one notes that the girl who is murdered in the opening scenes is played by one of Argento’s daughters.The sleepwalking scenes are definitely a highlight, with the camera swooning over Jennifer as she enters like Alice and Little Red Riding Hood an almost fairy-tale realm of unusual and hypnotically disturbing events cloaked in mystery and soaked in scarlet blood, aided by the insects that she can communicate with. The ability to do this allows us many interesting shots from the point of view of insects, which still hold up remarkably well today. The soundtrack for Phenomena is pulse-pounding to say the least, with synthesisers and hard rock forming the backbone. Albeit some of the uses of rock do detract from the overall impact of scenes, most of the time it gives it a driving force and nightmarish quality. I’m the not the biggest fan of dubbing, and some of it here is pretty laughable, but if you can overlook this then Phenomena is still a well-crafted slice of mystery with an imaginative mind at the helm. The only other flaw is that all of the creative ideas here don’t quite flow well with one another and this leaves the first half hour a long slog. But once it hits the hour mark, the elements do gel a little more with one another and Argento introduces more pace into the narrative which saves Phenomena from going off the rails. A young Jennifer Connelly is excellent in the main role. Argento clearly put a lot of faith in the young Connelly by basing the story around a young girl, but Connelly handles this remarkably well and conveys innocence, courage and skepticism as her character ventures deeper into the disturbing events around her. Donald Pleasence is well cast as the curious professor who notices the young girl’s gift and how she can use it to help in the murder case. Daria Nicolodi is interesting as the mysterious teacher at the boarding school, who always seems to have a nervous menace about her. If you can overlook the flaws of the first half, then Phenomena is an effective horror/mystery with striking visuals and a great lead performance from Jennifer Connelly. 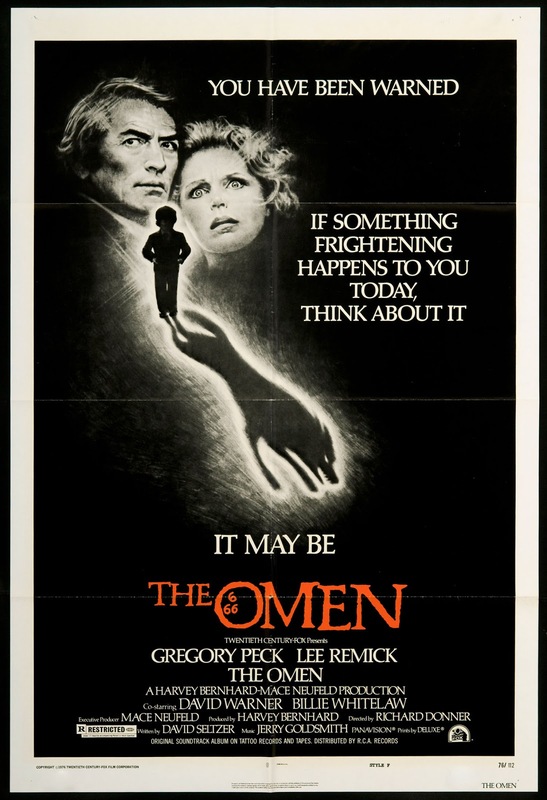 Laced with dread and filled with chilling scenes a plenty, The Omen has lost none of its original scares and continues to be a creepy film filled with doom-laden prophecies and slow-building horror that is extremely haunting. Robert Thorn is a diplomat who is stationed in Rome. Whilst there he learns that his wife Katharine had a baby son who died in childbirth. Fearing what this may do to his wife and at the suggestion of an old priest, Robert secretly adopts a newly born orphan. The boy is named Damien and Katherine loves him dearly, though Robert is the only person who knows that the child isn’t her biological child. As Damien grows up and Robert is instated as Ambassador to Great Britain, strange events begin to occur. This begins with Damien’s young nanny gleefully hanging herself at his birthday party, exclaiming “It’s all for you Damien”. Damien reacts violently towards his parents attempting to take him into a church. When taken on a trip to the zoo, the animals run scared of the child and then proceed to attack the car. Mrs Baylock, a new nanny arrives on the scene with an alarming insistence on protecting the boy along with a sinister Rottweiler that guards him from others. Scared and unsure by these strange and unsettling events, he is confronted by Father Brennan, who warns him that Damien is not of this world and isn’t the little angel he appears to be. He is in fact the Antichrist, who will destroy mankind and rise up into power, according to a biblical prophecy. Robert doesn’t believe these claims at first, but as time goes by he begins to see the truth in them and the fact that he will have to kill Damien in order to protect the world from apocalypse. Helping Robert along the way in this terrifying journey of discovery is Keith Jennings, a photographer who has picked up the events from the photographs he has taken that contain subtle references to death. Ominous atmosphere, religious overtones and chilling menace all combine to make The Omen a chilling horror film to watch. Richard Donner effortlessly crafts a ghoulish atmosphere of impending doom with his excellent direction. As the story unravels little by little, the tension is amped up by the creepy revelations surrounding Damien. Donner successfully exploits every parents worst nightmare that their child may be evil and with this gives us another iconic creepy movie child in the form of the angelic-looking Damien. We also get some inventive death scenes that still generate a fright, the most creepy being an unfortunate victim being impaled by a church spire. Suspenseful moments abound in The Omen, with the highlights being baboons attacking the car in which Damien is in and Robert and Keith being menaced in a deserted graveyard by vicious dogs. No review of The Omen would be complete without mentioning the exceptional score by Jerry Goldsmith, which combines pounding drums with chilling Latin chanting to create an atmosphere of religious themes and encroaching destruction. Goldsmith also manages to create lilting themes for the opening scenes of family joy which are then juxtaposed with the menace and dread brought about by Damien’s evil origins. Gregory Peck is outstanding as Robert, whose past misdeed has come back to haunt him. We watch as he wrestles with the knowledge that he must kill Damien in order to stop the spread of evil. Peck admirably conveys the complex emotions of his character with assured dexterity and we genuinely feel his dilemma. Lee Remick embodies the anxiety and vulnerability as his wife, who is the first to suspect there is something not right with her boy. David Warner is suitably frightened but determined as the photographer who has noticed warnings in his pictures. And then of course we have Harvey Stephens as Damien. He is nothing short of mesmerizing as we watch through subtle gestures the extent of his evil, which is belied by his angelic face and innocent curls but hinted at by his ambiguous smiles. Billie Whitelaw is menace personified as Satan’s protector in the form of a nanny who will stop at nothing to ensure that her evil charge prevails in his legacy of doom. Patrick Troughton is intense and foreboding as the priest who warns of the harm Damien will inflict on the world if he isn’t stopped. Chilling and frightening, The Omen is a horror film that isn’t to be missed for fans of the genre. With it being Christmas Eve and the festivities nearing, I wanted to wish my fellow bloggers a wonderful and fun-filled Christmas. I also want to thank you all for the excellent support that you give me and the comments and opinions that greatly help me with my blog. All of you are the driving force behind this blog, and I want to take this opportunity to acknowledge that. 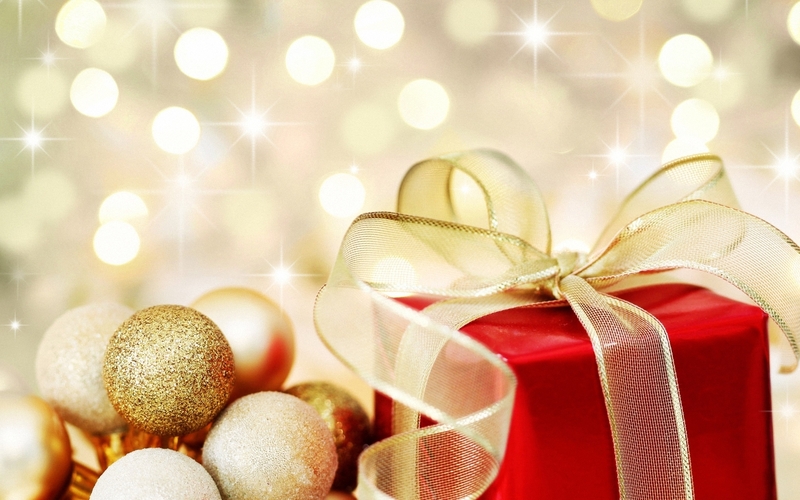 I hope all of you have a very lovely Christmas and an amazing New Year. 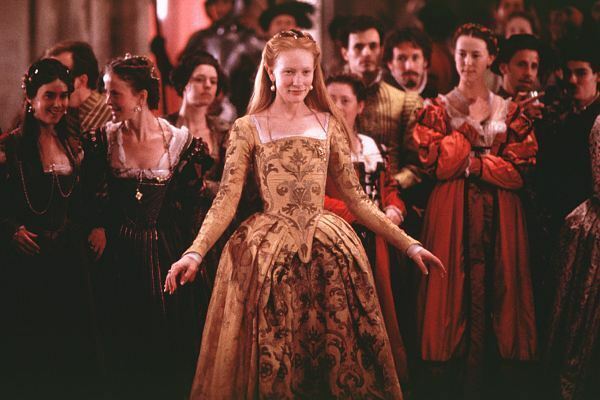 The early years of Elizabeth I’s reign are given a splendid retelling by talented director Shekhar Kapur. Avoiding conventions of historical dramas, he gives the tale a dark and brutal edge as we watch the young queen fight off conspiracy and become a strong monarch. Boasting a superb performance by Cate Blanchett, Elizabeth is nothing short of enthralling from beginning to end. In 1558, the catholic Mary I is dying of a cancerous tumour. Childless, the next in line to the throne is her half-sister Elizabeth, who is a protestant. It is a time of unrest as the seesaw of religion swings back and forth precariously. When Mary dies, Elizabeth becomes queen. The young girl is spirited and often naive and the position she has inherited is not exactly ideal. She is pressured to marry as soon as possible and produce an heir. Elizabeth though is more interested in her love affair with the dashing Robert Dudley. Meanwhile, England is threatened from abroad by Mary of Guise, who has gathered troops in Scotland. As well as the threat from abroad, there is conspiracy within her court as various members plot ways to dethrone her, the most prominent being the Duke of Norfolk who considers her a heretic. The thorny issue of religion also rears its head and threatens to destroy her reign as violence and chaos erupts. Realising the threats that surround her and aided by loyal but calculating Francis Walsingham, Elizabeth nimbly begins to transform from romantic young woman to ruthless and wilful queen in order to rule over this time of uncertainty and become the iconic Virgin Queen that the world knows. Politics, romance and bloodshed all combine in this splendid biopic that breathes fresh life into the story and gives it a riveting makeover. While many historical biopics paint a quaint picture of monarchy, Elizabeth delivers another side. The court of Elizabeth is a place of political intrigue and dark deeds, where views are divided by beliefs and violence is often around the corner. From the start, Elizabeth is in danger and must face the plots that threaten to engulf her. Shekhar Kapur magnificently captures the conspiracy and unrest of the time with his use of colour and camerawork, with dark red symbolising both passion and blood and a roaming camera that stalks the eerie palace and gives it a sepulchral tone. Interestingly, Kapur seems to take an influence from the most unlikely source, The Godfather. The similarities can be seen with the main characters in each, that must after reluctance change themselves and sacrifice personal attachments to become a feared ruler in order to survive and uphold dynastic order. Also, the lush cinematography that accompanies many scenes of assassinations does resemble some of the bloodshed of The Godfather. The musical score is suitably filled with royal splendor and underlying menace, while the sumptuous costume design is breathtaking. Historians may balk at some of the more fanciful elements of Elizabeth, but a few liberties here and there gives the film an exciting edge. In the leading role of Elizabeth, Cate Blanchett is a revelation. Her expressive face displays the journey she goes on and the strength that she uses to become a ruthless and powerful leader, capable of making difficult decisions. Filling the role with passion, emotion and vigour, Blanchett is a marvel. Ably supporting her is Geoffrey Rush as her advisor Francis Walsingham, who will do anything to protect her, including murder. Joseph Fiennes makes for a suitably handsome romantic interest, while Richard Attenborough is great as an elderly counsellor who attempts to guide the young girl. The other roles are competently portrayed by Christopher Eccleston, who exudes menace and anger as the conspiring Duke, Fanny Ardant as the ambitious Mary of Guise and John Gielgud as the Pope. Not one for the purists, Elizabeth still succeeds thanks to visually stunning direction, a powerful lead performance and a tense atmosphere that gives history new life. I know am I, that’s for certain. I was so elated by the exciting news the other day. 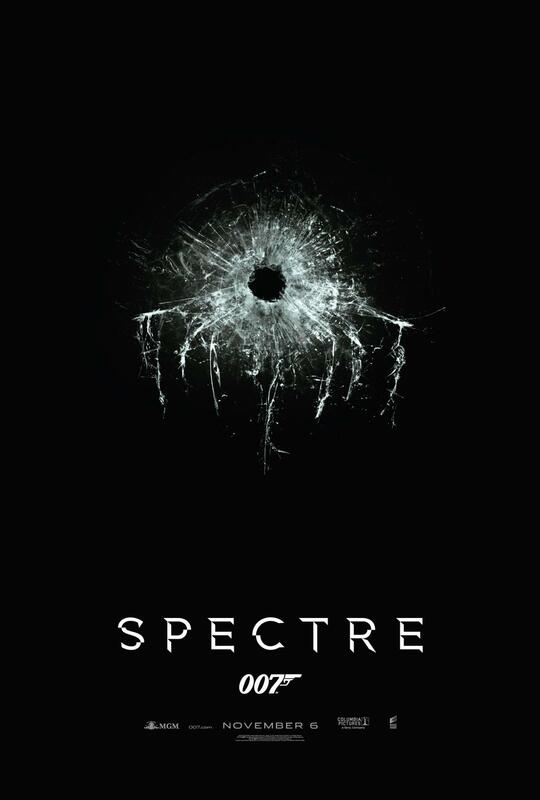 I’d been waiting for ages for more information on Bond 24. And boy, did this news deliver in spades. We have the promise of Bond’s former nemeses and maybe the iconic villain of Blofeld. And not to mention a revamped Aston Martin. As well as the excellent cast; including Christoph Waltz, Andrew Scott, Monica Bellucci and Léa Seydoux . We also have the return of Sam Mendes to the director’s chair after his success with Skyfall. I can’t wait for more information to be released about how the upcoming adventure for the one and only James Bond and I’m sure many of you out there feel the same way. What are everyone’s thoughts on the news? Whatever your view, please give it. It may not be a perfect entry into the thriller genre, but Sleeping with the Enemy sure has its moments of chilling suspense. Featuring Julia Roberts in a dramatic departure from her usual romantic comedies and competent direction, it remains a tense movie throughout. Laura Burney is the beautiful young wife of Martin, a successful investment counsellor. They live in a nice house by the beach on Cape Cod and appear happy as a couple. Behind this image is the disturbing truth. Martin is an abusive and possessive husband, who regularly beats Laura and toys with her psychologically. Laura tries to please him but his abuse and extreme OCD become too much for her. Desperate to escape her traumatized life with Martin, Laura formulates a plan. Martin takes Laura on a boating trip on a night that soon becomes stormy so that his wife can overcome her fear of water. As the storm wreaks havoc on the boat, Laura seizes her opportunity and jumps overboard, in turn faking her death. We soon learn that she had been taking secret swimming lessons to enable her to escape. Laura swims to shore and grabs a cache of belongings before leaving. Relocating to Iowa, Laura lives under the name Sara Waters and tries to live her life again without the torment of Martin. She even manages to capture the eye of a Ben, a handsome drama teacher who lives next door. But Laura is still looking over her shoulder in case Martin realises the truth and attempts to find her. This fear soon becomes true as Martin puts two and two together and realises that his wife has faked her death. Seething with rage, Martin sets off after her in chilling fashion, hoping to find his spouse and reclaim her for good. Joseph Ruben creates some scenes of chilling menace, especially in the beginning when we see Martin’s controlling ways and how he expects Laura to abide by them or else suffer his beatings. Through his camera, the beach house becomes a prison for Laura with the abusive Martin the person intent on keeping her caged in it. These scenes of oppression are counteracted by Laura’s eventual freedom after her escape, captured in blazing sunlight and warm colours. Admittedly, the scenes after the initially tense half an hour don’t quite live up to the menace of the beginning. This is partly down to the relationship Laura forms with nice guy Ben. I know he is supposed to be the nice guy in all of this, but the film when it shows their blossoming relationship is too light for a film that deals with a tough subject matter. The later half of Sleeping with the Enemy does have it’s fair share of thriller clichés that become a little repetitive. Saying that, the evocative and suspenseful score provided keeps the tension up high and embodies the fear that Laura has that Martin will eventually find her again. The relatively small cast is well assembled. Julia Roberts is emotionally convincing as the brutalised Laura, who discovers her buried inner strength and escapes from the torment of her husband. As a character, we feel sympathy and want her get away from the abuse, most of this is down to the finely judged performance of Julia Roberts, who really shows her mettle as well as an air of fragile vulnerability. Patrick Bergin is slimy and creepily effective as the controlling Martin, his tall, imposing figure and stern face really do send shivers down the spine as he realises that his wife is not dead. Bergin plays Martin as a sophisticated psychopath, seemingly charming on the outside but abusive and controlling behind closed doors. Kevin Anderson is saddled with the least memorable part as the charming Ben, although to be fair he does his best with the material he is given. All in all, Sleeping with the Enemy has its share of uninspired moments and lapse into cornball melodrama, but the performances of Roberts and Bergin along with the taut direction ensure that the movie is at least memorable and at times unbearably tense to watch.